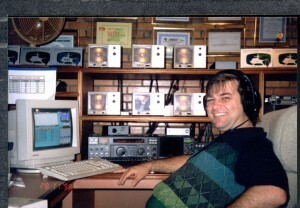 I operated single band 10 meters from ZW5B for the CQ WW CW Contest in 1998. Here are some pictures of Oms' station the day after the contest. I participated in a multi-multi operation from NP4A in CQ WW CW November 1980.